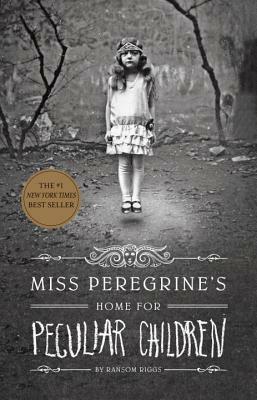 Ransom Riggs, the New York Times bestselling author, has penned a fascinating paranormal-themed story, Miss Peregrine’s Home for Peculiar Children that is the first book in this chilling and haunting new series, Miss Peregrine’s Peculiar Children. This story follows the adventure of a sixteen year old rich boy who found his late grandfathers' fantasy and peculiar stories to be true after his death and to rest his grandfather's soul in peace, he embarks on this bone-chilling adventure to an old, creepy island to find out a children's orphanage and the mysteries surrounding those peculiar children. I'm deeply disappointed with the fact that the story is marketed as something really haunting that consists of creepy, vintage real-life peculiar children photographs, and that it has the ability to scare the hell out of its readers. Well, while I was reading the book, I found none of the above except those photographs, that felt bit cliched with the story as each of the characters are actually the characters from those photographs. I could not find the point behind this whole idea of projecting those characters into the story. Jacob, our protagonist, who is 16-years old and has lost his the most precious person from his life, his role-model, to be precise, his grandfather, who used to enlighten him with stories from his childhood days when he used to fight the monsters and was saved by a bunch of peculiar children with special abilities, liking creating magic, restoring back human life, levitating girl, with Harry Potter's invisible cloak, a boy can easily become invisible to the people around him, in an old orphanage owned and run by a headmistress, Miss Peregrine. While growing up, Jacob found his grandfather's stories to be fiction, but the day when his grandfather died, he realized that the stories could be real. And when found an old letter addressed to his grandfather, he became determined to journey to this creepy island in the middle of nowhere and to find those children, if they are alive somehow through those dark times of World War II. Honestly, I loved the theme of the story, especially the adventure where it becomes so difficult to anticipate what will happen next with Jacob. At times, the story could instill deep fear into my mind with Jacob's fate. The pictures in the book from the cover picture to the pictures inside the book are simply astounding, as I needed to look twice to understand the old, vintage snapshots. And yes even a grownup like me, could get nightmares from those real-life pictures. The author's writing style is very articulate, easy to comprehend with, but what lacked is the horror that could have made the story simply brilliant. The story is quite addictive as even when I figured out that there is no horror, I kept on reading to find if Jacob could find and save the fate of those peculiar children. The narrative is bit depressing yet free-flowing enough to keep the readers glued till the end. The mystery part is really good and the author has unwrapped the knots of this complicated and dark mystery layer-by-layer. The pacing is really fast as the story is not backed by depth or details. The characters are very, very dull and this is where the book fails to deliver. The plot is good, but the characters are taken straight out of those photographs. It doesn't end there, the main character, Jacob, is bit of a snob and extremely selfish right from the beginning.His demeanor isn't realistic at all. Instead he is needy and has taken his life for granted. The supporting characters, like I said, are highly disappointing. There is no need to build a world as it is set in an old island and the time loop concept felt very vague in this story. Yes the story has also a science-fictional dimension, but that fails to make it intriguing. Overall, the story is not at all promising, although the story ends with a cliffhanger and I've heard lots of good things from its sequel, so I'd probably pick up a copy of its sequel somewhere near the future. So even if the movie-adaption of this book is all slated for an autumn release starring Eva Green and directed none other than by Tim Burton, you do not have to read this book by Ransom Riggs to understand the story better. Verdict: There are other YA paranormal books which are making a lot of noise in the literary world that you need to look out for. Courtesy: Let's not talk about it. Miss Peregrine's Home for Peculiar Children is my first novel. I'm really excited about it -- it was challenging and rewarding and I hope people like it. If you read that and like the found photographs in it, you might be interested in a book comprised entirely of found photographs that I have coming out January 2012 from HarperCollins. It's called Talking Pictures. What are your recommends that I should read ?